Great Blue slot game is a 5 reels, 25 lines video slot. It is one of the most popular Playtech slots and we can understand why. Although the payout of Great Blue is not high, around 94%, the odds to win big amounts on the free spins more than compensate for that. Not to mention the stacked wilds on all reels. (For higher RTP, you can check our loosest Playtech slots list). Obviously the symbols and sounds of Great Blue slot game are taken from the underwater life scenery: seahorse, turtles, starfish, clamshells and whales. The wild symbol is naturally the whale, the Great Blue. 5 wilds will bring you a 10,000 coin jackpot. The scatter represented by the clamshell. The highlights of Great Blue slot game are the stacked wild, which can appear on all reels and the free spins. The stacked wilds can give you nice return during the regular play, but if you get lucky during the free spins, you can go home happy. To trigger the free spins feature you need to hit 3 or more clamshell scatter symbols, which will give you automatically 8 free spins with *2 multiplier. Then, you will need to choose 2 clamshells which can increase the number of free spins or the multiplier – this can get you up to 33 free spins and up to *15 multiplier. 3 or more scatters during the free spins will give you additional 15 free spins. Besides the regular play, every time you win, you can click on the Gamble button and try to double your winnings by guessing if the next card is black or red. Coin value: this button is hiding above the Info button at the left bottom of the screen and controls the coin value, from $/€ 0.01 up to $/€ 100. Bet per line: located in the center. Goes from the value you set under coin value and up to *10. Lines: controls the amount of paylines from 1-25. Bet Max: Places the maximum bet. Auto start: starts the autospin function where you can control the number of the auto spins. 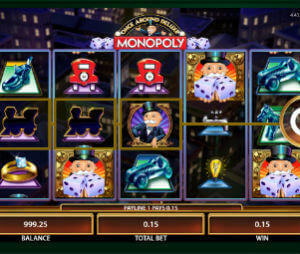 The minimum bet on Great Blue slot game is $/€ 0.01, perfect for penny slot machines fans, while the maximum bet is $/€25k! One of the best slots machines out there. Stacked wilds, various bonus games, double or nothing feature – all that will keep you entertained and if you are lucky, Great Blue can truly pay well. The only drawbacks that we found is the colours which can be more vivid and cold streaks that can be a bit frustrating. Till you get to the free spins….